It’s October, which means its time to fundraise for the Women Composers Festival of Hartford! Putting on a yearly festival requires lots of support, including financial support. When you donate to the Women Composers Festival of Hartford, your money goes directly towards our efforts to bring underrepresented repertoire to the Greater Hartford area. With your help, we are able to commission new works, support and showcase working composers and performers, and undertake new advocacy and community engagement projects! Please help us continue our 17-year tradition of bringing great music, performances, and community to the Greater Hartford area. We have all kinds of great merchandise, featuring designs by incredible local artist Moana McAuliffe: stickers of our “Matron of the Arts” caricatures, a mug with the Nadia Boulanger caricature and our new Matron Elizabeth Austin, limited-edition WCFH t-shirt with caricature of Florence Price, and more, including concert tickets and festival passes! Donate to the Women Composers Festival of Hartford, support incredible art and artists, and get cool stuff! A century ago, The Foundry made birdcages. When the city’s movers and shakers of the 1970’s decided to transform the area into an Arts District, a top-quality music shop was an essential component of their plan. Local musician Marcia Stevens was enlisted to make it happen. She looked to Patelson’s world-class sheet music store, across from Carnegie Hall in NYC (which sadly closed in 2009) as a model for her store. 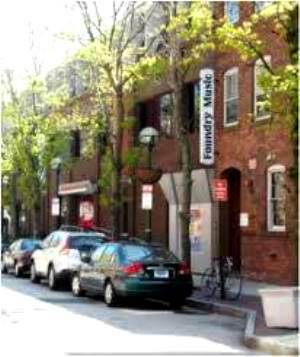 The Foundry Music Company opened its doors in April, 1975. Since then, it has been a thriving part of New Haven’s Art District, located next-door to the Neighborhood Music School and a block from Yale University. The Foundry Music Company has been helping musicians make music for over forty years. 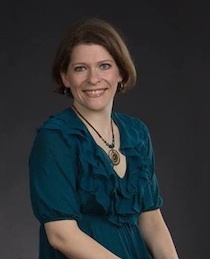 WCFH board member Marcia Killian is the current owner of The Foundry Music Company. The Foundry Music Company seems a bit of an anachronism in today’s digital world. It is a brick-and-mortar sheet music store, with shelves filled with opera scores, libretti, cantatas, and instrumental music for everything from solo piano to euphonium. To stay relevant in a time when it is easier to make a purchase on your cell phone than to take the time to visit an actual storefront, we need to offer something to our customers that larger retailers like JW Pepper and Amazon can’t replicate. This is where my interest in the Women Composers Festival of Hartford originated. One thing we can do to differentiate ourselves from our competitors is to promote and highlight the work of composers who are not well-known, or those that are not part of the traditional canon of vocal, choral, and instrumental music. In most cases, the work of women composers throughout history has met these criteria. 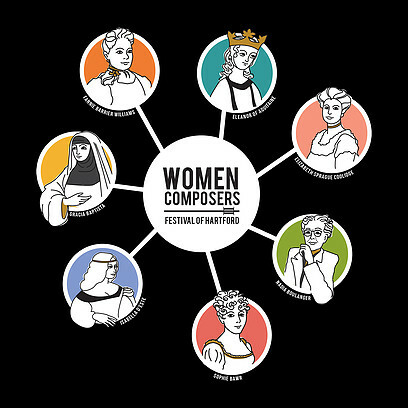 I came across the Women Composers Festival of Hartford as part of the research I was doing to both try to promote the work of local musicians and to find out more about the work of women composers. 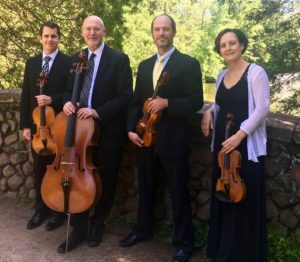 My participation in the festival in 2017 was as an attendee, and I was very impressed with the quality of the performances, range of composition styles, and the sense of community that was created over just those few days. This year I have joined the Board of Directors and am learning the art and science of grant-writing. 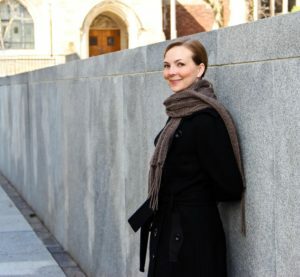 My store has a monthly theme, and we will, of course, highlight the work of women composers during the month of March, but I am also planning to devote a section of the store, year-round, to their music. We see a lot of little girls coming through our doors, looking for rosin for their tiny violins, or in search of a book of Disney-themed easy piano. If they are exposed to the work of women composers when they are young, they will grow up knowing such music exists, loving it, and perhaps someday composing it themselves. At least that is my hope! One notable composer you can find at The Foundry Music Company is Florence Price. The music of Florence Price will be performed by the WCFH 2018 Ensemble-in-Residence, Cuatro Puntos String Quartet, in partnership with Alika Hope and the Ray of Hope Project, as well as part of their Roots at 40 concerts. WCFH is proud to welcome and support Marcia and The Foundry Music Company! 2018 WCFH Featured Artists Announced! We are excited to announce our Featured Artists for the 2018 Women Composers Festival of Hartford!